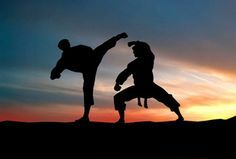 Due to how martial arts are portrayed in today’s media, most people naturally assume that the self-defense is the only main benefit of Kung Fu. The right training in Kung Fu, however, has benefits beyond merely teaching one how to defend them. These benefits can be divided into; Self-Defense, Health & Fitness, Mental/Psychological Rewards, Character Building and Spiritual Awareness. Kung Fu training is an excellent way to improve and boost your health and overall fitness. The unique and varied methods of training produce fast and efficient results which last into old age. Most well-known practitioners of our system have enjoyed an active life style well into advanced age. Lam Cho, the grandmaster of Lam Family Kung Fu, was vigorous and full of life even at the age of 100. Kung Fu training improves coordination, flexibility, strength, speed, balance, and endurance as well increasing over all cardiovascular fitness and toning muscular system. Unlike any other form of exercise/activity, martial arts offer the added benefit of self-defense. Our system of Kung Fu, Hung Gar, is known for its straightforward and practical self-defense techniques. 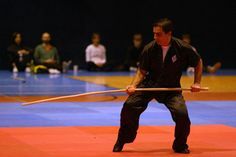 Every Kung Fu style implements mental training as it plays a significant part in the life of the user. It helps the user gain more self-esteem and self-confidence in their ability to master the skills. It also increases the motivation and creates a positive attitude toward the life. Hung Gar and other Kung Fu styles stress the importance of the mental training as it teaches users how to live their lives in a better way. It teaches us to take a good look at every decision and make a rational decision rather than jump in and do reckless things. Why are weapons used in martial arts?